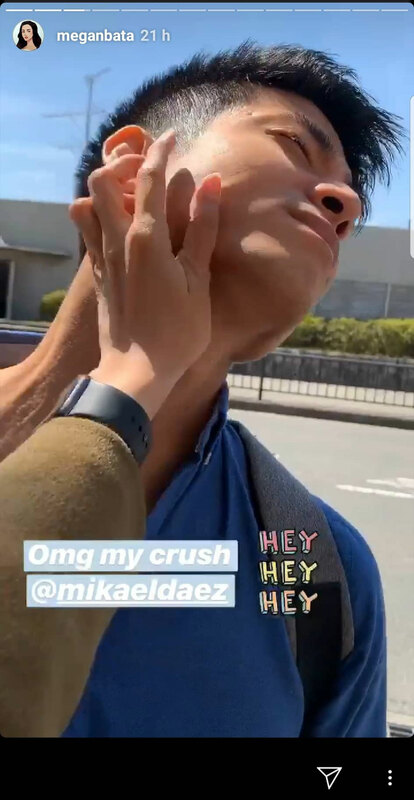 Actor Mikael Daez and Miss World 2013 Megan Young are vacationing in Osaka, Japan, and he just pulled the biggest prank on her. “BAM. This picture-perfect moment was realized!” the actor writes on Instagram. To make up for trolling her and to “soothe her cheesy heart,” Mikael said they took nice photos together afterward. Before checking out the high-rise building, the couple of eight years were admiring the cherry blossoms. Then Mikael took this pic of Megan about to blink as she posed before cherry trees. Mikael has posted funny photos of Megan before. One of the first pictures dates back to 2012. It's a cute photo of her terrified about diving and opening her eyes under water. On their seventh anniversary, he posted a picture of them not ready for the camera. He tagged it #flatteringasusual. But Mikael doesn’t have all the fun. Yesterday, Megan posted a funny video of her squeezing his jaw. She jokes, "Oh my God, yung crush ko. Pahawak nga ng panga. Pahawak. Wow."